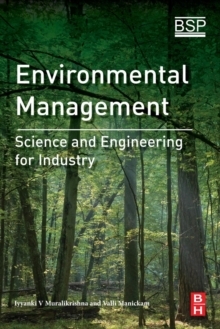 Environmental Management: Science and Engineering for Industry consists of 18 chapters, starting with a discussion of International Environmental Laws and crucial environmental management tools, including lifecycle, environmental impact, and environmental risk assessments. This is followed by a frank discussion of environmental control and abatement technologies for water, wastewater, soil, and air pollution. In addition, this book also tackles Hazardous Waste Management and the landfill technologies available for the disposal of hazardous wastes. As managing environmental projects is a complex task with vast amounts of data, an array of regulations, and alternative engineering control strategies designed to minimize pollution and maximize the effect of an environmental program, this book helps readers further understand and plan for this process.